You are currently browsing the tag archive for the ‘Living hope’ tag. The apostle Peter makes reference to the crucifixion and resurrection of Christ in the first three verses of his first letter. Whew. That’s a lot to take in. The part I have been focusing on these last few days is the sprinkled with his blood part. What did Peter have in mind when he wrote that? 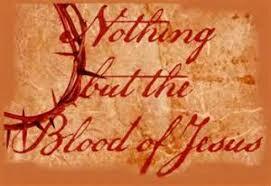 None of the followers of Jesus that were reading Peter’s letter had been sprinkled with his blood. What could he possibly mean? How did his early readers take that phrase? It must have something to do with the crucifixion, but what exactly? So one thing that Peter is trying to communicate with God’s elect is that through the shed blood of Jesus on the cross, the chosen ones are cleansed and can meet with God. Cleansed, meaning forgiven of all sins. Purified, white as snow. That’s how God now sees his followers through the lens of the sprinkled blood of Christ. One other thing that probably came to mind when Peter wrote about the sprinkled blood, was the great Passover, when the Israelites killed a lamb and sprinkled its blood on the doorposts of their houses. Upon seeing the blood, the killer angel would pass by and spare any firstborn male in the house. The results of this last plague, was freedom for the Jews from the Egyptian slave masters. Similarly, the result of the sprinkled blood of Jesus is that God’s elect are set free from the Evil Slavemaster called Sin, and are free to worship the one, true God. Wow! New birth. Living hope. No more living in sin, being totally controlled by passion and pride. 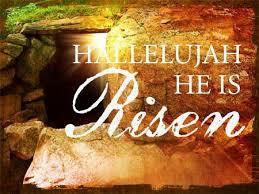 Because of the resurrection, we have new birth, old things have passed away and all things have become new. Because of Christ’s resurrection we have a living hope. Not dead hopes that many people in the world depend on. Dead hopes like a new job will make me truly happy. Or a new soul mate will fulfill my life. Or a good education is what I really need to live the good life. Those are just a few examples of dead hopes that people rely on to get them through each day. With the reality of the resurrection, Messiah followers have a living hope that brings true and lasting joy now and all the way into eternity. Indeed we love him and rejoice greatly. but now effective for the whole world.